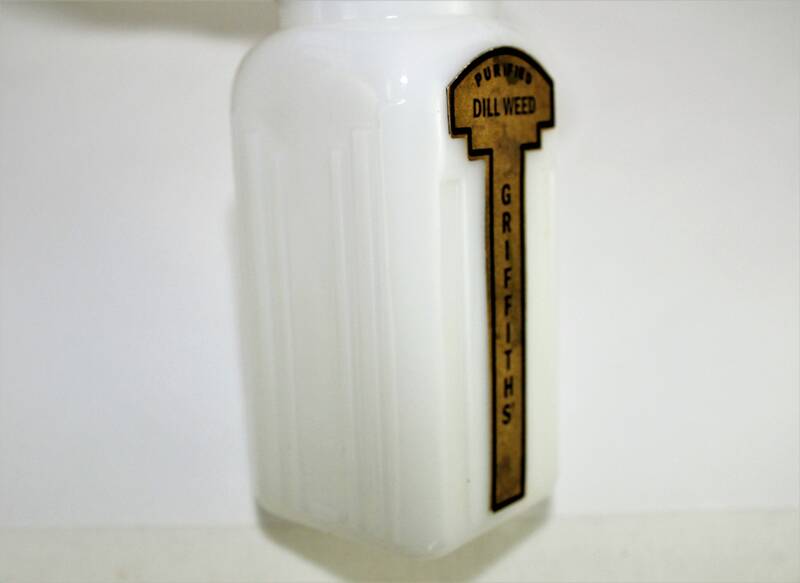 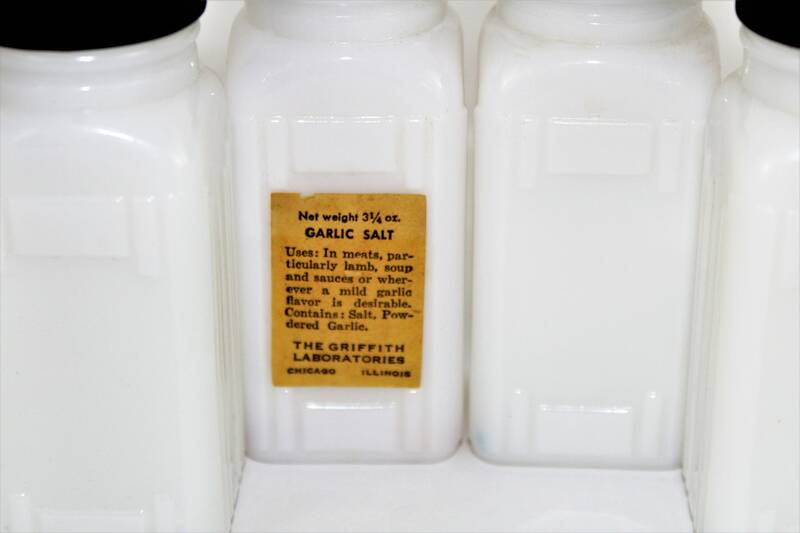 Wonderful original set of Griffith's Spice Jars made by the Griffith Laboratories Chicago Illinois. 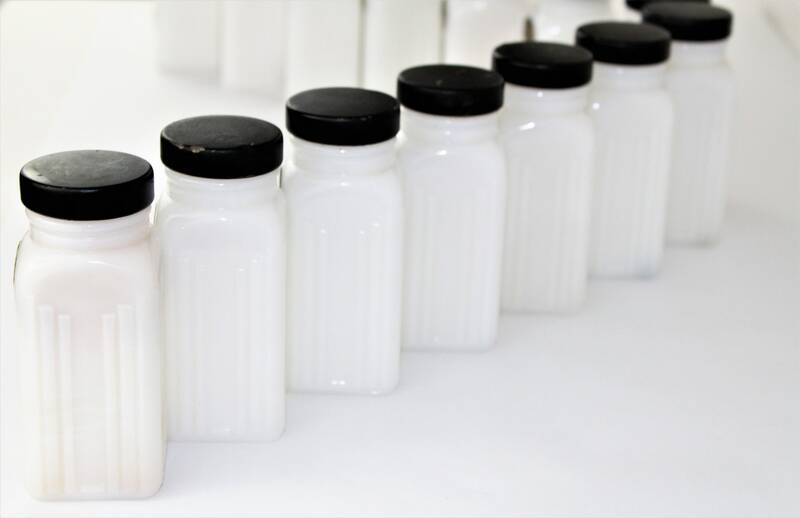 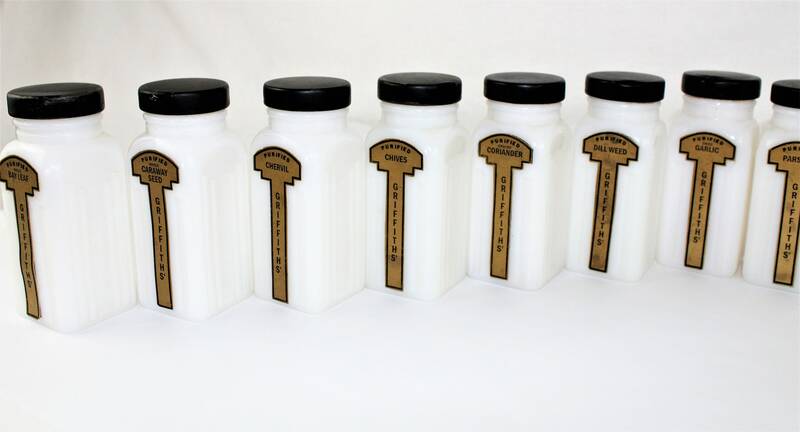 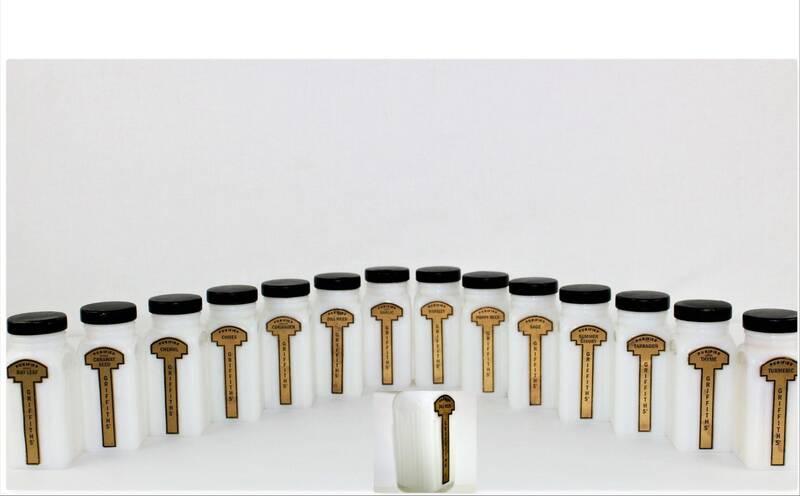 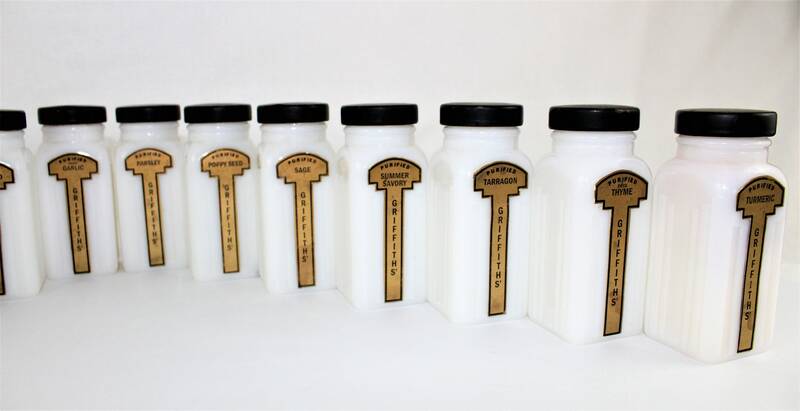 These spice jars where made from 1930s to the 1950s, made of milk glass with metal screw on lids. 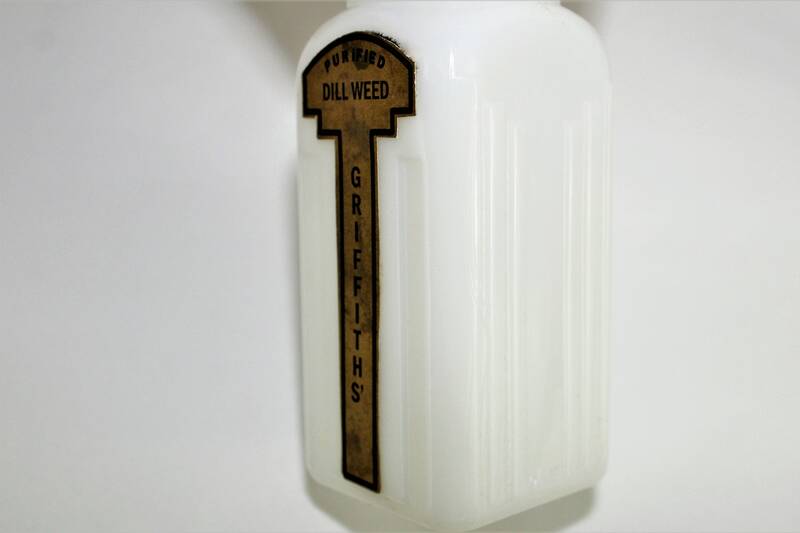 These are the original design of the jars with graduated raised columns on sides and back and inset pillars on the front.